Teresa C. Younger is a renowned thought leader, strategist, advocate, activist and amplifier having spent over 20 years on the frontlines of some of the most critical battles affecting the lives of women and their communities. Ms. Younger is a community organizer with demonstrated ability to build strong partnerships amongst diversecommunities and constituencies, from grassroots organizations to state houses; from nonprofit to the corporate sector. Ms. Younger is the President and CEO of the Ms. Foundation for Women, the first (and oldest) women’s foundation. This legacy institution builds women’s collective power in the U.S. Under Ms. Younger’s leadership, the Foundation launched #MyFeminismIs, a multimedia campaign sparking a national conversation on feminism; funded a groundbreaking report on the sexual abuse to prison pipeline; joined leading women’s foundations at the White House (under the Obama Administration) to announce a $100 million funding commitment to create pathways to economic opportunity for low-income women and girls; and led a campaign to hold the NFL accountable for violence against women. Most recently, Ms. Younger led the development of the Ms. Foundation’s bold new strategic plan, in which the organization has chosen to center women and girls of color to challenge the philanthropic sector (and all of us) around how women, particularly women and girls of color, are being invested in. As a thought leader, Ms. Younger’s contributions and expertise to the nonprofit and social justice arenas has been noted in BIG IMPACT: Insights and Stories from America’s Nonprofit Leaders, the Women’s Leadership Online Summit, and she has been recognized by The Council on World Affairs, Aspen Institute, Princeton University, Harvard University, and NetRoots Nation. In 2015 she was chosen by Planned Parenthood Federation of America as a Dream Keeper, and in 2016 was named one of the “50 Most Powerful Women in Philanthropy” by Inside Philanthropy. She has appeared on MSNBC’s Melissa Harris-Perry Show, MSNBC’s UP with David Gura, NBC News, NPR Radio, Elle Magazine, Cosmopoltian, SiriusXM, and in USA Today, AP, Rewire, BadassWomenLeaders.com podcast and the New York Times. Ms. Younger sits at the critical intersections of gender and race in the philanthropic space serving on initiatives to shape and change the narrative of women and girls, including Grantmakers for Girls of Color, Funders for Reproductive Equity, Philanthropy New York and Black Funders for Social Justice. Additionally Ms. Younger serves on a number of boards including the Ethel Walker School and Essie Justice Group. Her influence and voice can also be felt in the gender lens investing space having linkages with Gratitude RailRoad and Criterion Institute’s Gender Based Violence Advisory Group. Prior to joining the Ms. Foundation family, Ms. 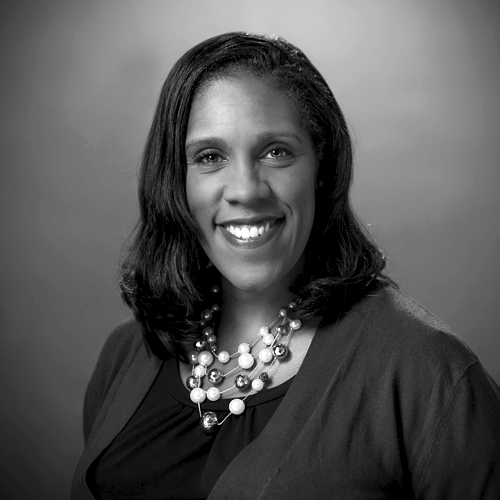 Younger served as the executive director of the Connecticut General Assembly’s Permanent Commission on the Status of Women and as executive director of the ACLU of Connecticut – making her the first African American and the first woman to hold that position. Ms. Younger is a graduate of the University of North Dakota and in 2018 was granted an Honorary Doctorate of Letters in Humanities from the University of New Haven. Ms. Younger is a resident of Connecticut where she lives with her husband. She is proud lifetime Girl Scout and Gold Award recipient.